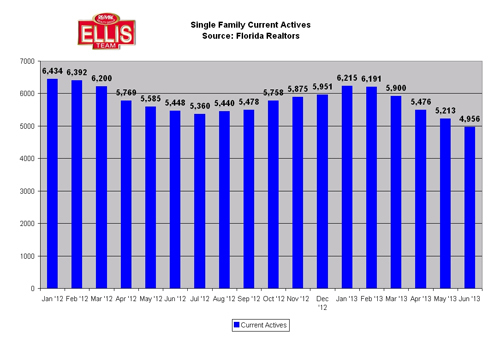 A few weeks ago we did a story called “Riding Low” about real estate listing inventory falling is SW Florida. We had May data to work with and at that time listings were lower than they were all last year and we speculated based upon pending sales they would most likely go lower when June data was released. Well, June data was just released and indeed listing inventory fell again to its lowest level in quite awhile. Last year agents from Cape Coral to Fort Myers to Bonita Springs to Naples were all complaining about lack of inventory. It is putting pressure on buyers in 3 ways. Prices are going up rapidly. 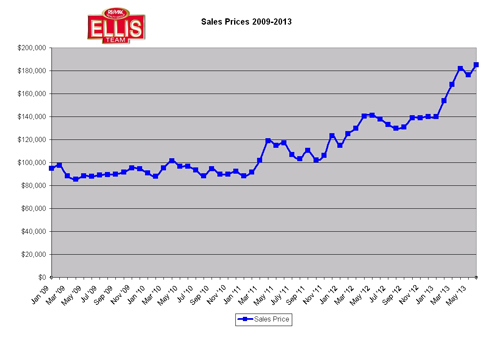 Median prices are up about 30% over last year. This doesn’t mean all homes are up in price as some ranges have lots more inventory than others. Buyers today are being squeezed by rising prices, that’s for sure. Secondly, interest rates are going up and this is causing the cost of ownership to rise. It’s a double whammy. Prices are going up and so is the cost to finance. Throw in some insurance rate increases and even a tax millage increase and you’ll see that some buyers are quickly being priced out of the market. Lastly, when there is a shortage of homes on the market buyers are in fierce competition with other buyers. It’s very frustrating to look at homes and select a favorite only to find out the seller just accepted another offer, or worse is in a multiple offer situation and a bidding war ensues. We just listed a short sale that had interest from several buyers because it has been kept up very well. We had to wait 5 day including a weekend because the seller’s loan was a FNMA loan and they now require a waiting period before signing contracts. We did that and a few buyers were very disappointed. We see this quite frequently on our listings and our buyer agents deal with this on a daily basis with our buyers. This is the market we are given. It does no good to complain, although complaining sometimes makes us feel better. The best solution to having success in a market like this is accepting the market we’re given and educating our customers on how to succeed in this market. Setting reasonable expectations upfront means educating our customers with facts, data, and logic. Facts help overcome emotional objections and get us in the mindset to make an informed and intelligent decision rather than a seat of the pants knee jerk reaction. Women might appreciate and notice that they’re male significant other will study their fantasy football team until the cows come home but when it comes to using that same diligence on studying the housing market the motivation isn’t there. Some people are into fantasy football and some people are into studying the market, and neither way is right or wrong. I’m just saying as a buyer or seller it pays to either study the market as if you want to win your league or hire someone who knows. Buyers and sellers who try to go it alone sometimes make some costly mistakes. Real estate is a complex transaction. Pricing is just one component. 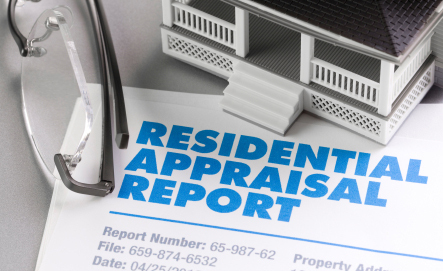 Taxing, deed restrictions, title, survey, financing, transfer protocols, HOA and condo associations all play into things you need to know about, and this is just the tip of the iceberg. Feel free to view our Virtual Tours as well. Good luck and Happy Buying/Selling!!! Listing Inventory in Southwest Florida Down.